This summer vacation, POGO, India’s no. 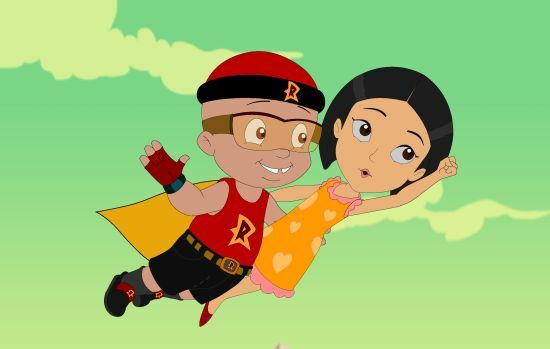 1 kids’ channel, is pulling out all the stops to ensure that kids get a funfilled and adrenaline pumping dose of superhero adventures on the channel. After receiving a phenomenal response last year, Raju – Chhota Bheem’s best friend, is back in his superhero avatar this summer in an exciting new sequel. This new movie called ‘Mighty Raju v/s the Great Pirate’ is scheduled to premiere on June 10, 2012 at 12pm only on POGO.In this sequel, Mighty Raju is up against three villains whose devious plans are sure to bring the Indian armed forces to their knees. The Reserve Bank of Aryanagar housing precious diamonds and secret Indian missile control documents is robbed by a group of lethal Ninjas. Mighty Raju and his faithful super-pup – Mobi, intercept the Ninjas and recover the stolen diamonds and documents but the Ninjas manage to escape. Now armed with the missile control information, the Ninjas team up with the evil Admiral Dark Wind and Mighty Raju’s old nemesis – Karaati to launch these missiles off a hijacked navel ship and destroy major Indian cities. Once again, it is upto Mighty Raju to save the day and defeat Karaati and Dark Wind.